I am trying to get into making better treats instead of eating chocolate and other naughty things found in the supermarket. I have a few recipes to try that I found online but first my staple is Teresa Cutter (The Health Chef) Banana Bread. I am going to make this and take to work for my colleagues as it was a massive hit last time. For some reason, her website won’t load the ingredients or method section, not sure if that is just me. Anyway, a quick Google will get you the recipe from another website. I have taken this from the internet and all credit to Teresa for this amazing recipe. For some reason, her website won’t load the ingredients or method section, not sure if that is just me. Anyway, a quick Google will get you the recipe from another website. I have taken this from the internet and all credit to Teresa for this amazing recipe. Preheat your oven to 160 C. Combine smashed banana, honey, oil, cinnamon, vanilla, eggs, bicarb and lemon. (the lemon activates the bicarb). You can do this by hand in a large bowl or with a good blender. Add the almond meal and flaxseed and mix well. Lightly oil one loaf tin and then coat liberally with extra almond meal or desiccated coconut – this will prevent the cake from sticking. The size I used was: 10 1/2 cm wide and 26 cm long. Spoon batter into the tin and bake for 45 minutes to 1 hour ( a skewer inserted into the centre should come out dry). Cover the top with foil if over-browning. Remove from the oven and allow to cool before turning out the loaf. Keeps in the fridge covered for up to 1 week. Teresa adds that she loves to decorate the top of her banana bread before baking with sliced banana or a handful of chopped walnuts and lightly sprinkle cinnamon. Teresa likes to decorate the top of her banana bread before baking with sliced banana or a handful of chopped walnuts and a light sprinkle of cinnamon. To pump up the protein – Add 2 tablespoons of WPI or Pea Protein in place of the flaxseed. Okay, so not going to lie didn’t do great on the week 1 but I was sick with the flu so I feel I have some leeway. I have been trying to make up for the various days of not meeting the plan. I followed Days 1-2 exercise and food well (minus a raw cocoa almond milk hot chocolate – London is cold at the moment so don’t judge me). Then the flu started getting worse and the rest of the week is a bit out of order. I got to work from home so that helped lots with meal prepping so the food element wasn’t too bad. The exercise didn’t go well as I was coughing too much to increase my heart rate via exercise. Day 1 – Followed the eating plan well except the hot drink as stated above. Also, did the exercise plan in full. Day 2 – Followed the eating plan except a 2 x chocolate balls (judge away) and also hit the gym for the exercise side. Day 3 – Followed the eating plan but not the exercise plan due to the flu. Day 4 – Failed the eating plan as I had smashed avo for breakfast at the cafe with the guest we have staying with us. We also went to the pub for dinner with said guest. Still no exercise due to my cough. Day 5 – Followed the eating plan about 90% think I didn’t have the dinner side. Still no exercise. Day 6 – Had breakfast at the cafe (smashed avo) and then had the right lunch but had Thai for dinner. I did, however, get myself to the gym and I did the exercise for day 3 and 4 in this gym session. Had a few moment with the cough lingering but got through it and felt great. Day 7 – I had a breakfast from the plan then I went out and had two piccolos with almond milk and that stopped my hunger. I am making dinner from the plan (salmon) but I did skip lunch. I went to the gym and did the workout for day 5 and 6 in this session, still struggled with my cough a bit when my heart rate goes up. I had a protein smoothie post workout (as a replacement for lunch). Okay as you can see this is not a great start to the week 1 or phase 1. I am considering either starting again or just pushing through and learning from the mistakes above. Really I am not doing the plan for any other reason but to try and get into a fitness routine and be more mindful about the food I eat and the portions I have. One thing I learnt this week is that my portions are too big normally. I guess I always knew this but when you weigh out all the food you realise it more. I feel, even though this hasn’t been a great start, that I am starting to build the routine and feel good about exercising again. Getting myself to the gym and pushing through. I still forgot to weigh myself at the gym, oops. I plan to make some natural snakes this week when the grocery order arrives. I am also making a GF, DF banana bread for my work colleagues just because it was requested. I mean it is so tasty. I will limit my intake of this baby though. Wish me luck for Phase 2, definitely going to need it. I think the main thing is don’t punish yourself for what you haven’t achieved (following the plan to a tee) but what you have learnt: portion control, choosing better foods, getting more regular exercise in. I feel this is still a win. Week 2: 9 January 2017 until 15 January 2017. What is Phase 1? Phase 1 is labelled the ‘Reinstatement and Engage’ week incorporating days 8-15. This phase reinstates food and outlines the common symptoms when you do. Now I try to eat as GF and DF as possible as I have UC and my specialist told me to do this as it will probably help. They reintroduce dairy and wheat in this section as well as red meat. All of which I do not eat regularly. I will alter this slightly to accommodate my needs. During this phase breakfast is made up of oats, omelettes, cereal and some of the breakfasts from phase 1. It doesn’t look like it will be hard to swap out the GF and DF for other options. Lunches are made up of a mix of phase 1 lunches + salads. I will probably replace the red meat with chicken. I will need to find a love for salad as I really find it blah. Dinner is made up of all the same meals from phase 1 so hopefully I am not sick of them. I am the worst at eating the same food over and over again. I wish I could but I like variety. The fitness schedule for this phase is quite the same in terms of the whole body EMOM and HITT sessions but is changed up a bit and the reps and sets are longer it seems. Like phase 1 the last day is a rest day so sit hack and relax for day 14. At the end of this week I will report back on how I travelled and any slip ups. Must keep with mind over matter. 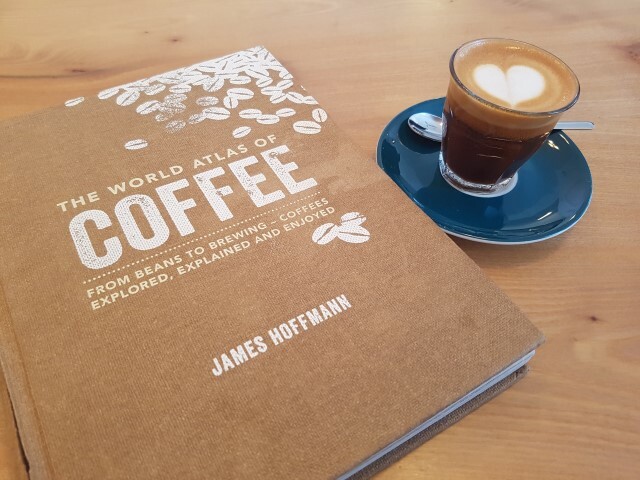 So as a pretty big lover of cafes and coffee as Australia is spoilt for choice with independent cafes serving amazing coffee. I feel it is imperative that we find the best coffee around the area in London we reside…South West. 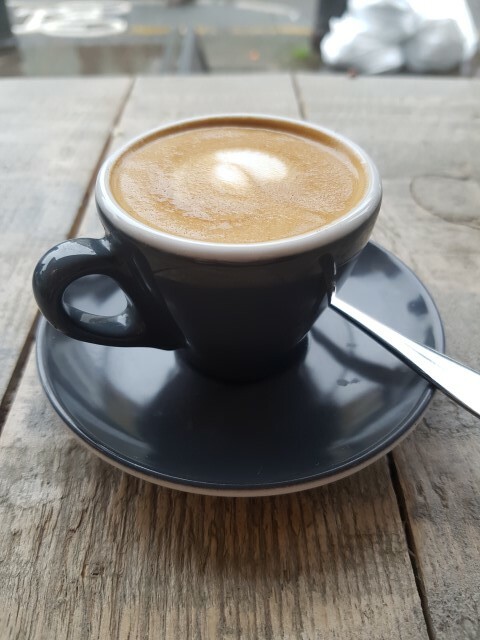 I also have a favourite coffee place near my work in London Bridge: Mousetail Coffee Stories -I love the coffee, the service and love going here each morning. Coffee of choice is always a piccolo with alternative milk and previously was usually soy milk. Recently, I have tried to avoid drinking soy and replace with almond milk. I find almond milk in coffee can be very touch and go. Sometimes it is so delicious and other times it tastes off and doesn’t milk well with the coffee. I was also being naughty lately and adding additional calories to my diet by having almond milk mochas. I have stopped these now, although they are so delicious and a perfect treat. I do find that some cafes when you order alternative milk coffees, make them buy adding the espresso to the milk jug that contains your alternative milk of choice and streaming it. This is so unpleasant and it completely changes the profile of the coffee, I personally think it ruins it. I actually always ask them not to do this as you not only do they always put too much milk in the jug you end up with a weak coffee that is too milky. When we first moved to London this was recommended to us and it was a small hole in the wall on Battersea High Street. We didn’t enjoy it at all and never went back. Then we heard they expanded and became a cafe with breakfast so we thought let’s give it another go. Glad we did as this is a staple for us. We go so often that the girl almost knows our order…one day! I was having soy piccolos here as they use Bonsoy and Bonsoy is so delicious in coffee, however, I just discovered they have almond milk and the last two times got an almond milk piccolo and it was divine. I have also had delicious almond milk mochas from here too. I found this coffee shop catching the train to Waterloo and it was a pleasant discovery. The couple that owns the cafe are so lovely and explain the beans and what milk they had and what the ingredients were (in my case soy). I love going here for a coffee when I need to travel for work and use the station. Now for those in a rush, the service is not fast and you have to be prepared to wait. I think it is totally worth it as I think the coffee is so tasty and has a beautiful profile. I actually go early to get a coffee but I know if you are in a rush this would be annoying. I always have soy piccolos here and I am unsure if they do Almond Milk but next time I go there I will suss it out. Beans: Unsure but will report back next time. We went to this cafe lots when we first arrived as this was the best closest to us but now we have La Moka and we usually go there. I did go back to Story the other days as I walked past it and I remembered how enjoyable that little cafe is. Their coffee is delicious and the service is always perfect. I also just discovered they do Almond Milk too so I replaced my soy piccolos with almond milk piccolos. I have been here various times and it is never a letdown and they do a delicious breakfast too. They are always quite busy and that can be a downfall as you may need to line up. They do almond milk here too. They also have a few locations in Balham and Tooting. If you are just after coffee and Brickwood is too busy just head to here. They have delicious coffee and the service is great. They also do alternative milk (almond and soy from memory). They also offer different blends and will recommend what goes with what. Great little place to stop and chill out at. This is a cute little place to stop off by or sit and enjoy a bit to eat. The coffee is not spectacular but the vibe is nice, the food is good and the service is decent. I still think it is worth a visit even if you just want a takeaway. They offer alternative milk too. I have only been here once and it was enjoyable. This cafe is the favourite of one of our friends. I think I need to head back here soon and re-experience this place. I remember the food and service being good and the coffee pretty decent. I know they do soy but unsure if they offer almond. We have been here once and it is worth a mention. The food and coffee were nice. I remember ordering a soy piccolo and I didn’t want them to put the espresso and the soy milk together in a jug and steam it so they gave me a deconstructed piccolo (a glass with the espresso and a side of steamed soy milk). I found this pretty annoying and the waitress said the barista wouldn’t do it as it would curdle and I was like okay that’s fine. Bit weird, I don’t really care if it curdles, I prefer this then ruining my coffee by steaming the espresso. Not much to write on this one as only went once and found it to be overpriced and squishy in the cafe. It has terrible reviews online about the owner and I figured there are better places to go that are better value for money and have better coffee. I was going to Gails a lot in my almond milk mocha phase as they were the only cafe I knew that did it and then I discovered heaps do almond milk. I do not think Gails have good coffee and my partner does not like their coffee. However, they do have nice food and I think that in itself and if you mask the coffee by getting a mocha it is tasty. When Doppio first opened we were so excited but after the 5th or so time, the coffee didn’t seem to be any better. It is pretty standard but nothing wow about it. I think it is quite popular though as it always has customers when we walk past. They do have alternative milk (soy) not sure if they do almond yet. Beans: Unsure, maybe their own brand? I went to Brother Marcus with friends when it first opened and it was 50% off food and I enjoyed it and the vibe. I have been there since with my partner and the food is good and the coffee is okay. They do alternative milk (soy) unsure if they offer almond milk yet. It is very popular on weekends. Also, at night they are a cocktail bar so worth a visit if you’re in the area. 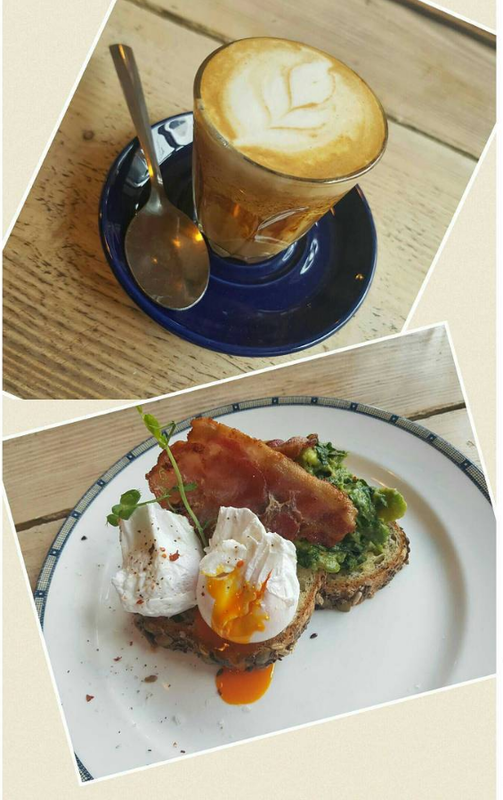 I think Bad Bean does better food than coffee. I enjoy their breakfast menu but I am yet to enjoy their coffee. I find the coffee to be too hot, no flavour and just watery. They do offer soy milk and I did a quick google and it looks like they offer a range of milk alternatives: coconut, soy, almond, and oat. If you cannot be bothered to line up at The Breakfast Club (which is overrated) I think it is definitely worth a visit and I will give their coffee another go. I wanted to get out of the house and go for a walk so I walked to get coffee. This place was recommended so I figured why not. I braved the weather and glad I did. This cute little shop right next to the Clapham North Tube was worth the walk. The owner is quite possibly the nicest person to have serve you. They had two different beans types so obviously had two piccolos with almond milk. The single origin is 50p more but was so enjoyable and totally worth it for a treat. Beans: Unsure as they change them regularly so just a lucky dip each time. If you have enjoyed any of the above or know the beans they use for the ones I have as ‘unsure’ please let me know. Week 1: 2 January 2017 until 8 January 2017. What is Phase 1? Phase 1 is labelled the ‘Cleanse and Prepare’ week incorporating the first 1-7 days. Now you get a rest day with working out but I don’t think you get a rest/cheat day for the diet side. Which is fine as I need to stop the binge. Thee is an eliminate section which is: corn, gluten, red meat, dairy cow products, certain oils, alcohol and caffeine, sugar and artificial sweeteners. There are also optimal tips like sleep, drink water, don’t eat late and consume apple cider vinegar before each meal. Okay so you have three breakfast options and you just have to swap and chop as you want. I have decided to work it around how easy I can prepare these meals in line with my work start times. The best option for me for breakfast is the Green Machine Smoothie on work days. This smoothie is easy to make and with my Ninja I can blend and go quickly. The other two meal options are Breakfast Salad and Lean and Green Omelette. As today was a public holiday in the UK I had the Lean and Green Omelette for breakfast. I have assigned the Breakfast Salad to the weekends. There are two notes on the breakfast section which outline that if you are training in the morning then you can add X to your breakfast for extra recovery and energy. As with breakfast you get three lunch options to go between. I have again based this on easy meals to make and have at work without the need for a kitchen. I also really do not enjoy microwaved meats so I want to eat something easy and without a microwave. The options are: Super Green Broccoli Bowl, Lemon Chicken Salad adn Baked Eggy Frittata. I am going between the Super Green Broccolo Bowl and the Lemon Chicken Salad for work lunches. As above today is a public holiday and I made the Baked Eggy Frittata which was actually very tasty. As standard there are three dinner options too: Quinoa Salmon Salad, Clean Fish and Chips and Stuffed Capsicums. As with breakfast you will just need to repeat the same meal. I choose 2 salmon, 2 fish and 3 capsicums. Today for dinner I am having Clean Fish and Chips just because I based in off what will go bad first from the grocery order. It allows you to have two snacks per day and these are either boiled eggs or hummus and vegetables. If you want a snack pre-training you can have a piece of fruit and berries are recommended (I will probably have bananas). Fitness is Days 1-6 only with Day 7 being a rest day. The plan outlines that there are strict nutritional guidelines as part of the cleanse phase and your body will experience rapid change therefore, the fitness guide has been created accordingly and intensity will continue gradually. The fitness side is made up of a different schedule each day. It ranges from whole body EMOM to HITT and they give you a gym or home routine. I personally love this as some guides only give you gym workouts on machines and then you have to customise yourself. Will blog how I went of this week and next week for Phase 2: Day 8-14. I spotted this (Fitazfk) challenge on Instagram while bored and browsing so I figured why not give it ago. Today marks the first day of the Fitazfk 28 Day Challenge. Now the fitness side is going to be a little bit of a challenge as I have been carrying around a flu since finishing work on 22 December and it has decided to follow me into the new year. Anyway I still decided to start the challenge today 2 January 2017 and try to at least get the food situation happening. Now I cannot weigh myself as I don’t own scales but I will make a mental note to weigh myself when next at the gym. I will take some photos and use them as a guide. I also need to print the guide so I can easily access the fitness schedule and workouts when at the gym. The reason for doing this challenge is that since moving to London I have let my diet and exercise go a lot and I am feeling so average, flabby, sick and just overall blah! I used to have a great fitness lifestyle back home in Australia but not here. I work too much and it makes me stress, tired and lazy. The winter is here and it is cold and dark by 4/4.40pm each day, which I just am struggling with. I also have an auto immune disease that is acting up a lot lately and I know that I need to get my diet under control if I want to avoid a relapse and a hospital admission which always results in a bag of pharmaceutical medicines which I hate. I reviewed this guide before I decided to do it and I figured it seemed somewhat easy to follow and the food was easy to obtain without the need to have a fully equipped kitchen at work to be able to meet the diet side. The plan is based on a weekly eating plan and exercise schedule, I will blog weekly as daily isn’t going to really change that much. Thankfully I am not a huge drinker so the alcohol side isn’t going to be hard but the caffeine side is as I drink caffeine every day before work so be able to get myself through the day (sad I know) plus I really LOVE the taste of coffee and it makes me happy one sip at a time. See my next post for week 1! When I was 17 I started working as a waitress at an Italian Restaurant in Port Douglas, Queensland, Australia. I worked with an amazing chef, Rob, who was always so kind to me and made the most delicious food. We were allowed staff meals and he would make anything on the menu I wanted and sometimes if I had a craving for something off the menu he would make that too (like the time I was craving macaroni and cheese). He was like a fatherly figure, gave me advice and was always great to work with. Unfortunately, he took his own life and that day broke my heart. One of menu items he used to make regularly for me was Penne Zingaro which is a roasted vegetable pasta with a Pomodoro type sauce and goats cheese. It is my favourite pasta dish along side Penne Amatriciana which Rob always made the best. I have tried to replicate the dishes but mine just never taste as amazing as his but still pretty good. Line an oven tray with baking paper and put spread out some oil, lay out the sliced zucchini, eggplants and capsicum. Brush with olive oil and sprinkle with salt and pepper. Add parmesan as a garnish too with some basil. Note: I love goats cheese and the flavour it adds to this dish. It tends to turn the sauce from a Pomodoro to a Rosso sauce. Rob used to make this with olives in it but I always asked for it without. I am only slowly liking olives so if you are an olive fan add black olives chopped to this recipe. If you are short on time and don’t want to roast the vegetables you can pan fry them in some oil/butter with salt and pepper until soft.